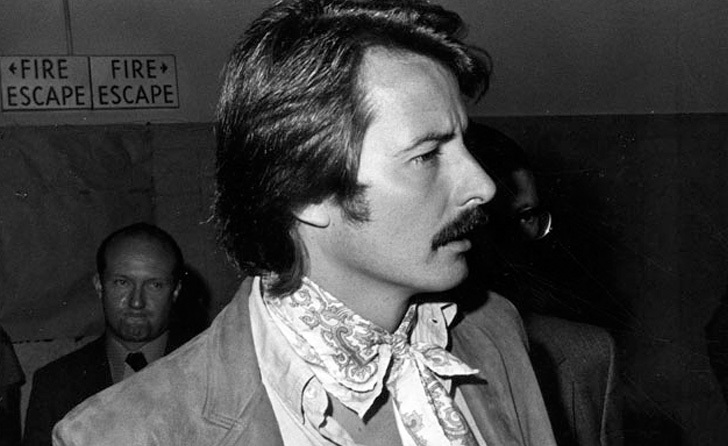 Prosecution witness Gregg Jakobson was a talent scout who first met Charles Manson about May 1968, at the Sunset Boulevard home of Dennis Wilson, one of the Beach Boys rock group. Jakobson testified that in a period of about a year and a half, he’d had many talks with Manson. LOS ANGELES, Oct. 16 – Hippie leader Charles Manson believed there was no such thing as right or wrong, and therefore “it wasn’t wrong to kill,” a one-time friend of his testified today in Los Angeles Superior Court. “Manson said there was no such thing as right and wrong — it was a concept he didn’t believe in. He said he could do no wrong and there wasn’t any good or bad. Time and pain, Jakobson said, didn’t exist and were both a concept of man, according to Manson. Time, the hippie leader contended, was invention, and pain existed only in the brain. Manson, the witness said, didn’t want anything to do with any current establishment because he felt it was coming to an end. Jakobson, said he met Manson in May of 1968, and last talked with him a month after the Tate-LaBianca murders, said his friend was “pretty adamant” about what he called helter-skelter. During the black-while race war, Jakobson testified, Manson would go to the desert with his people. Manson, in a holding tank beside the court, listened to Jakobson’s testimony via loudspeakers. He came out to a foot-square screen in’ an attempt to see the witness several times but the angle was such that Jakobson was not visible.